Home > Car Audio > Subwoofers > 15"
Looking for a loud system without breaking the bank on 'competition level' equipment? 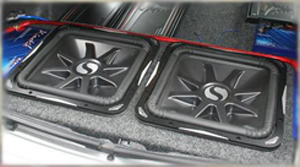 We stock 15" subwoofers that will give your system the bass your looking for. With 15" subs your system will be able to respond to low frequencies most subwoofers miss. Take a look at our wide selection of 15" subwoofer below.